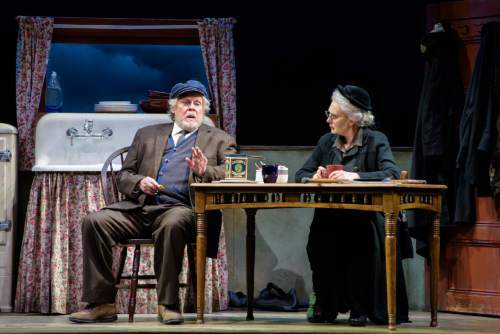 Review • PTC's production gets to the heart of a unique Irish love story. Sometimes the things that are most familiar are the ones we fail to see clearly. Because they&apos;ve always been there, we&apos;ve never made the effort to look at them closely. 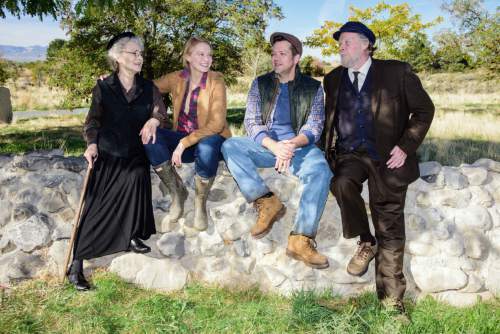 That seems to be the case with Anthony and Rosemary in John Patrick Shanley&apos;s lyrical Irish love story "Outside Mullingar," which just opened at Pioneer Theatre Company in a charming and heartfelt production. 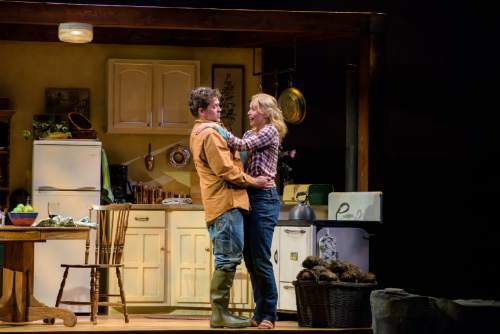 Anthony Reilly and Rosemary Muldoon have grown up on neighboring farms, but somehow they&apos;ve never taken the time to get to know each other. Perhaps that&apos;s because they started out badly. When they were children, Anthony pushed Rosemary down, and she has never forgotten it. "She has her father&apos;s curse: stubborn to the point of madness," observes Rosemary&apos;s mother, Aoife, to Anthony&apos;s father, Tony. Another complication is that their temperaments are so different. Rosemary is self-possessed and outspoken, willing to fight for what she wants. Anthony avoids confrontation; he feels more comfortable walking the fields in the rain than socializing with people. Aoife perceptively says, "He feels things more deeply than others." Still, Rosemary believes that she and Anthony were born side by side and they&apos;ll die side by side: "He will be in his house, and I will be in mine," she predicts. "Outside Mullingar" is full of little secrets and surprises, not the earth-shattering kind but ones that alter your perceptions and can send your life in a new direction. Shanley has a gift for creating conversations that sound like real people talking, and each scene subtly deepens the characters and relationships and immerses us further in their world, which is isolated and often lonely. In one of the tenderest scenes, Tony and Anthony, who don&apos;t always agree, have a heart-to-heart talk where Tony describes an epiphany he had in the field. "Something came to save me. … The sun shone on me," he tells his son. "I have faith that love will find you out in those fields." The land is all important in Irish life, and moments like this capture that feeling and the way that objects like a simple gold ring can acquire major significance. The four actors  whether arguing or sharing stories  are so comfortable together that it&apos;s easy to accept that they&apos;ve always known each other. As Anthony, Tom O&apos;Keefe wears the uneasy air of someone who knows he doesn&apos;t fit in and wonders if he will ever find what he needs. Amy Bodnar&apos;s Rosemary is brash and impulsive, but an appealing vulnerability underlies her bravado. 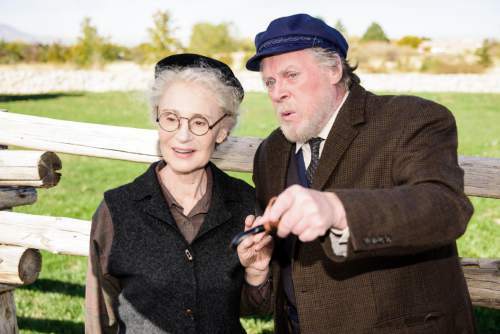 Max Robinson penetrates Tony&apos;s curmudgeonly, opinionated surface to reveal a man who cares deeply about his farm and family, and Sybil Lines is whimsically philosophical as Aoife. Julie Kramer&apos;s quietly assured direction lets the moments accumulate and evolve in a natural rhythm. Set designer Daniel Meeker has devised an ingenious way to make PTC&apos;s expansive stage seem intimate. The walls and ceilings of the rooms in the Reilly farmhouse draw in to shape a much smaller space. The dated simplicity of the Reilly kitchen contrasts with the more modern Muldoon one, and the closeness emblems how confined these characters&apos; lives are. Outside are the hills and a lowering Irish sky, illuminated by Phil Monat&apos;s soft and muted lighting. Brenda Van Der Weil&apos;s costumes have a relaxed, straightforward country look. The perpetual Irish rain permeates Joshua Hight&apos;s sound design. 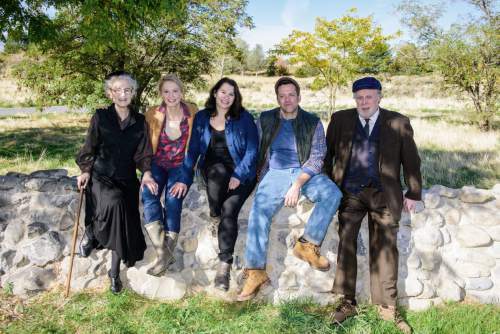 John Patrick Shanley&apos;s poetic prose and intelligent portraits of richly drawn characters illuminate PTC&apos;s "Outside Mullingar." When • Reviewed Oct. 30; plays Mondays through Thursdays at 7:30 p.m. and Fridays and Saturdays at 8 p.m. through Nov. 14, with Saturday matinees at 2 p.m.